Earlier this month, i brought you The Boots, and now i bring you The Bag. I am definitely NOT a handbag person. If you're a dedicated reader of this blog (thank you!) you certainly must have noticed that the same one is consistently flung over my shoulder (i'll take this moment to apologize for the lack of diversity in that area). 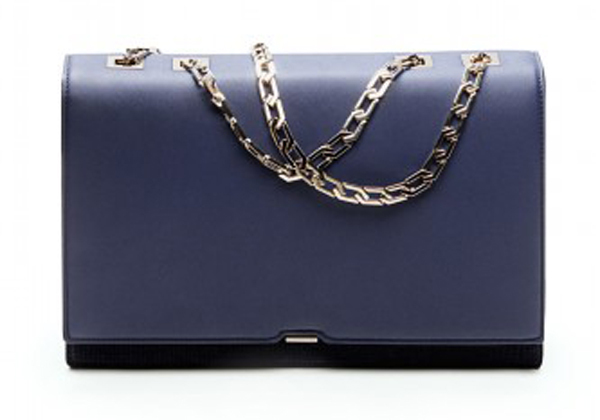 But this Victoria Beckham beaut has sure caught my attention: love love love the color -- nice change from black, yet still incredibly versatile -- as well as the super modern chain strap and the sleekness (read: timelessness) of the design.